The ultimate hook for nose hooking grubs or any finesse style baits. 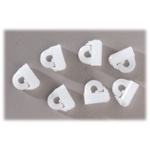 Also light wire live bait hook. A great hook for drop shot. The ultimate hook for nose hooking grubs or any finesse style baits. 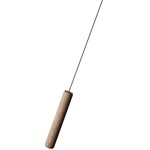 Also light wire live bait hook. A great hook for drop shot. drifting for salmon and steelhead with small baits. Give any spinner bait that extra edge. Surgical Tube included. 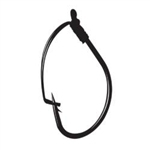 A standard offset shank round bend worm hook for greater bite area. Our most versatile hook, known for its durability and strength. Our standard offset shank worm hook with an O'Shaughnessy bend. Standard straight shank worm hook. The EWG Double was designed to fit most frog style lures. 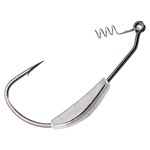 Great hook for live shiners, crawdads and shrimp. This style is also very popular for many different types of Catfish baits. 4" Long, 10 pack, Garlic & Salt impregnated. 4" Long, 10 pack, Garlic & Salt impregnated. 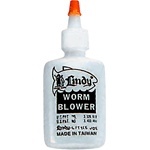 Flick Shake wacky style worm, 5.8" long, 7 pack, super soft, salt injected and live fish scented. 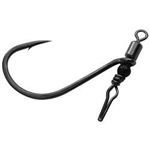 Jackall Flick Shake 6.8 Jackall Flick Shake 4.8 Jackall CrossTail Shad 4"
Luck E Strike 5" Shad Minnow Lindy Little Joe Pole Float Keitech Little Spider 2"
spinnerbait or buzzbait easy, fast and secure. Fat Baby Craw , 3 3/4" Long, 07pk 2.5" Long, 3/8 oz., Floating Topwater. #4 Treble hooks. 4" long, 8 pack. Garlic & Salt Impregnated. Long Double Tail Grub, 5" , 10pk Sinking Stainless Steel Hammered Spoon, 1/2, 3/4, 1oz, sizes. Keitech Model 2 Football Jig Yamamoto 3" Slim Senko Jackall Cover Craw 3"
Cover Craw creature bait, 3" long, 7 pack, super soft, salt injected and live fish scented. Cover Craw creature bait, 4" long, 6 pack, super soft, salt injected and live fish scented. 1-7/8" Long, 1/4 oz., Floating Topwater. #6 Treble hooks. 3" Long, 5/8 oz., Floating Topwater. #4 Treble hooks. The prefect hook for wacky rigging for bass with weedless feature. 5 pack jigheads. Gamakatsu Heavy Cover Worm Hook Heddon Zara Spook Keitech Fat Swing Impact 3.8"
Steel wire guard on straight shank worm hook. Speed Trap 6594-018 2-1/8" long 1/8oz. 5ft. Diver, Floating. 3.25" Long, 7/16 oz., Floating Topwater. #4 Treble hooks. 3.5" long, 3/4oz., Sinking Spoon. Standard straight shank worm hook. Keitech Fat Swing Impact 4.8" Keitech Easy Shiner 5" Keitech Fat Swing Impact 4.3"
Lazer TroKar Magnum Weighted Swimbait Hook Luckycraft LC 1.5 Hayabusa Chum Cage 4" x 1-3/4"
3.5" Long, 1/2 oz., Floating Topwater. #4 Treble hooks. 3" Long, 1/4 oz., Floating Topwater. #6 Treble hooks.